What international program did you participate in? 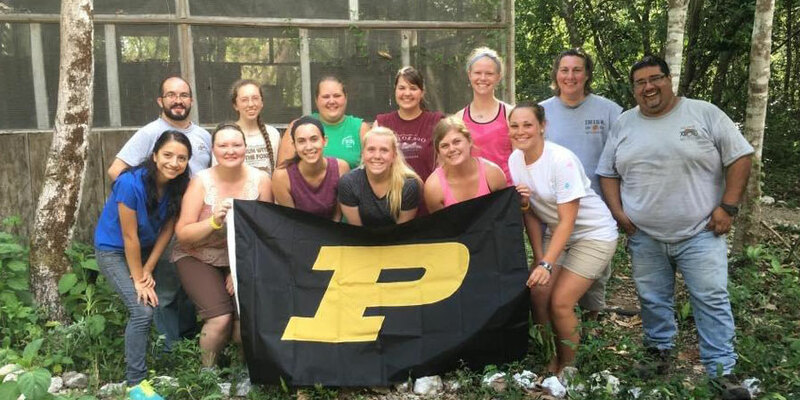 I traveled to Guatemala to work with the ARCAS Wildlife Rehabilitation Center during the summer of 2016. Over the course of my trip, we traveled to Flores, Guatemala (where the center was located), the Ancient Mayan City of Tikal (located in the northern rainforests of Guatemala), and Peten, Guatemala. We had the opportunity to work with many different kinds of animals living in the Guatemalan rain forest. We fed, watered and cleaned cages of animals at the wildlife rehabilitation center daily. Also, we worked with three to four veterinarians each day practicing our skills, testing our knowledge and assisting them throughout the day. We went to lectures given by the veterinarians and staff and were taught many new and interesting things about Guatemalan wildlife and how to handle such animals for medical purposes. There was a zoo nearby (about a 10 minute walk) that was overseen by one of the veterinarians so we visited there a few times and helped out with moving some animals to different cages. There were many hands on lessons and many opportunities to practice our medical math skills. A great way to practice in a real life situation but still have some guidance and supervision if you need it. My favorite part about the trip was that the veterinarians and staff that we worked with showed much confidence in us. This allowed us many opportunities to practice our skills and learn as much as we could. I never felt like I was underused or not allowed to try. The veterinarians asked us thought provoking questions to help us to do tasks more effectively, and gave presentations on exactly what we were going to be doing before we began. I truly enjoyed this study abroad experience. This was one of my first big trips, so there were many things that were new to me. I think next time I will remind myself that I didn't actually need or use everything I brought with me. So I would say I wish I would have packed a little lighter, making one less thing I have to worry about carrying or losing. What is a major takeaway from your trip? 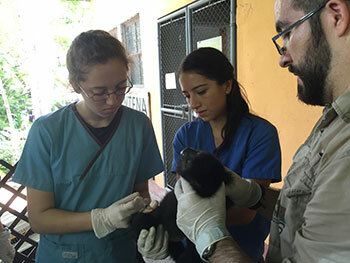 Spending time in the Guatemalan Rainforest was a fun way to learn more about the Veterinary Technology profession from a different perspective. Would you recommend this program to other PVM students? Why? YES! I would definitely recommend this program to other PVM students. This was my very first study abroad and I truly gained much from the experience not only culturally but academically as well. It was a great place to practice skills that will be required of us when we graduate and are put out into the workforce.